15.03.2018 – Duisburg/Concepción. Imperial Logistics is expanding its river transportation management capabilities and the company has developed an integrated solution for its inland shipping routes in South America – encompassing state of the art transportation and warehousing management solutions. A fifty percent holding in the Baden S.A. handling company in the Paraguayan port city of Concepción forms the basis for this. 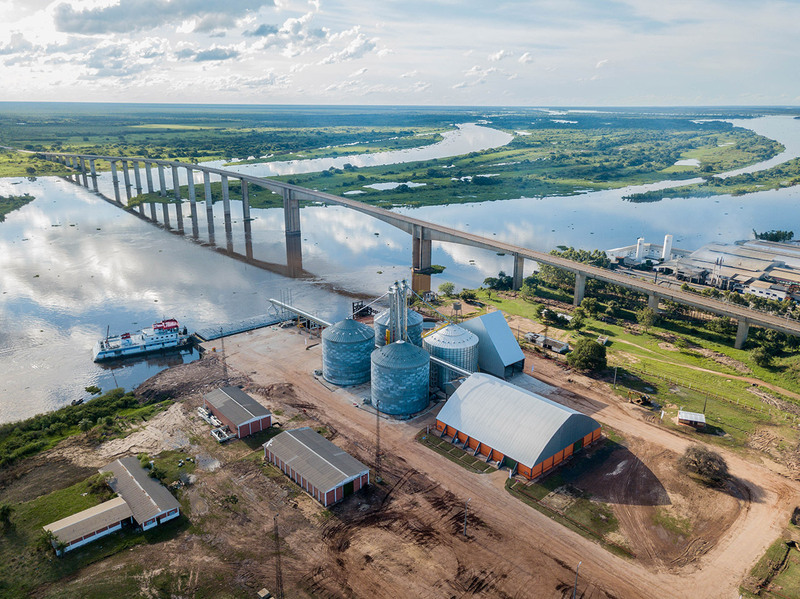 Working with its joint venture partner, CIE S.A., Imperial Logistics has reactivated the port on the Rio Paraguay, which had been idle for more than 15 years, and turned it into an enlarged warehouse and handling centre for cereals, soya, fertilisers and other agricultural products. The joint venture company, Baden S.A., has either overhauled the relevant handling infrastructure like warehouse silos, tipping ramps for trucks and conveyor belts or installed new items. The new port facilities were officially put into service on the 20th of February. 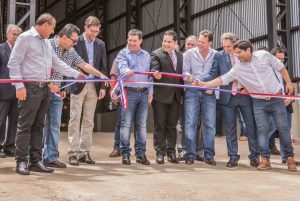 Those attending the ceremony included the Paraguayan President Horacio Cartes and the Paraguayan Minister for Industry and Commerce, Gustavo Leite. “Imperial now offers storage, handling and alternative transport solutions from one source at the port of Concepción for producers and traders of the agricultural products grown in the southern Brazilian federal state of Mato Grosso do Sul,”Carsten Taucke explained in his opening speech. The CEO of Imperial Logistics International remarked that the agricultural goods no longer have to be transported huge distances of more than 1,000 kilometres in trucks to the Brazilian seaports. Instead, the products can be stored at the new port of Concepción, loaded on board push barges following a relatively short overland journey of no more than 350 km and then transported via the Hidrovia Paraguay-Paraná (HPP) river basin to Argentinian ports like Rosario or Porto San Lorenzo for export three times faster than if sea transport services were used. The distance covered is almost 1,600 km.